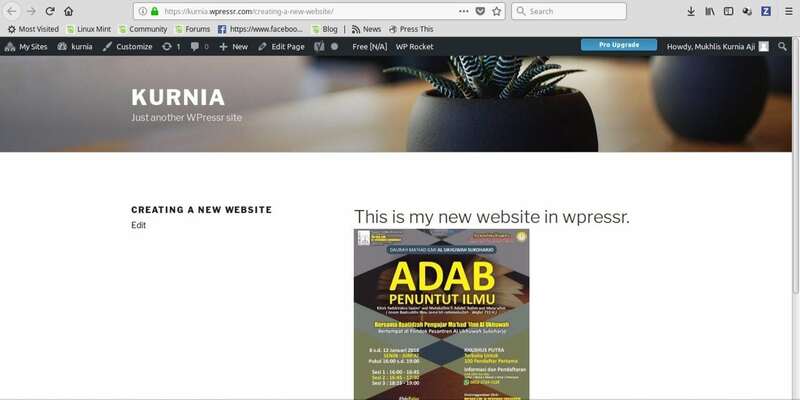 You must be registered in WPressr before creating a new domain. Fill User name with more 4 characters, latters, and number only. Fill your Email Address. Make sure your email address is correct. Register a new domain for your site. Use simple name to make it easier to remember and easier to share. Fill a good title then click “Create Site” when you are done. Finally you alredy have a great new website. 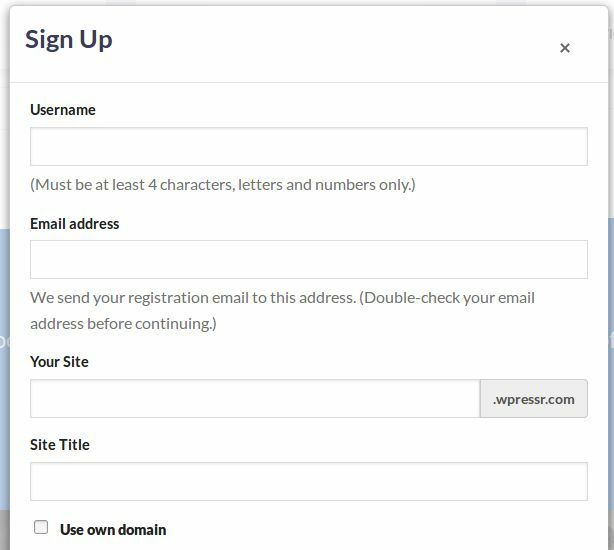 WPressr is WordPress-based web hosting, allows you to enjoy all the features that can support your website to grow and get advanced.